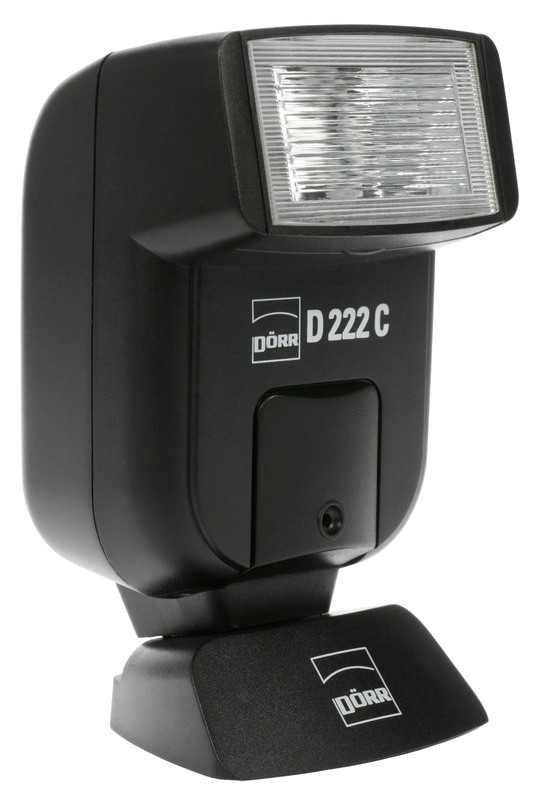 This Dorr D222C Universal Flash is small and portable. 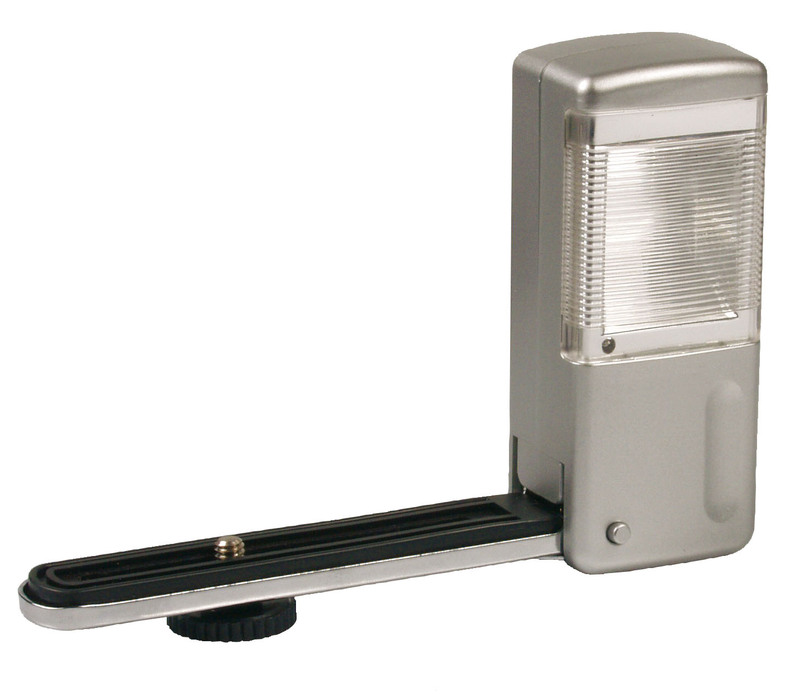 It has a standard hot shoe center contact to the camera. 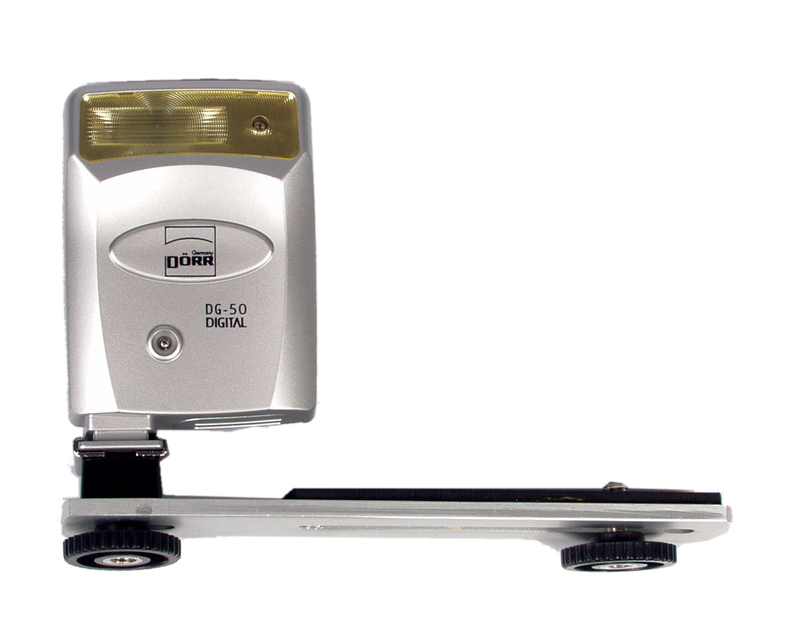 A sync chord is also supplied, this allows the flash to fit on older camera models that dont have a hot shoe. Takes 2 AA 1.5V batteries.